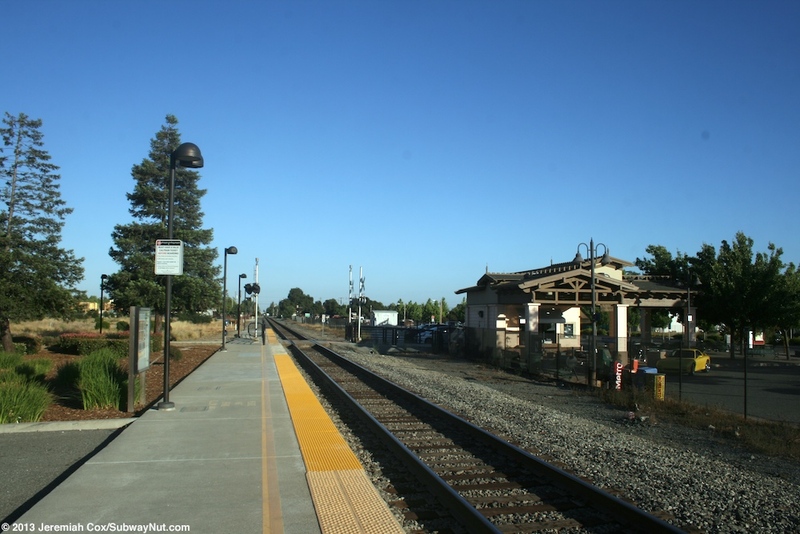 Morgan Hill is the most important intermediate stop on the Gilroy extension, and it and Gilroy account for most of the extensions riders. 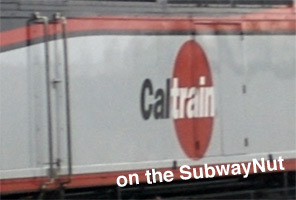 A stop opened for the community with the start of service on July 1, 1992 but the current station wasn't dedicated until February 1994. 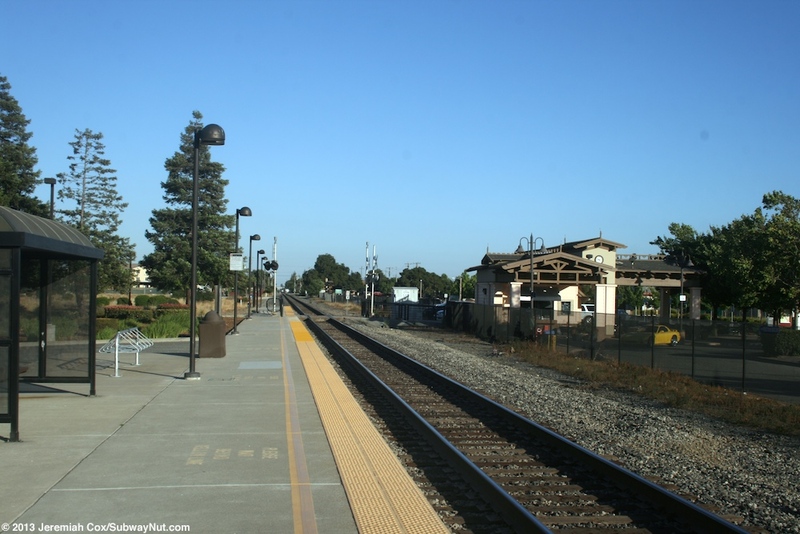 The station currently had one track but there was clearly once also a siding now removed. 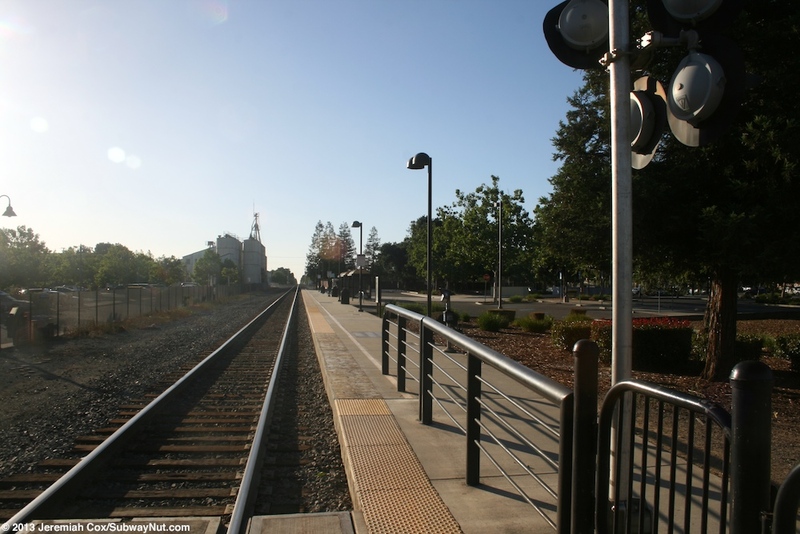 Articles were found from 1998 about a stopped freight train that was blocking access to cross the tracks in the station and how passengers were stuck walking all the way around or dangerously climbing between the couplings of the cars. 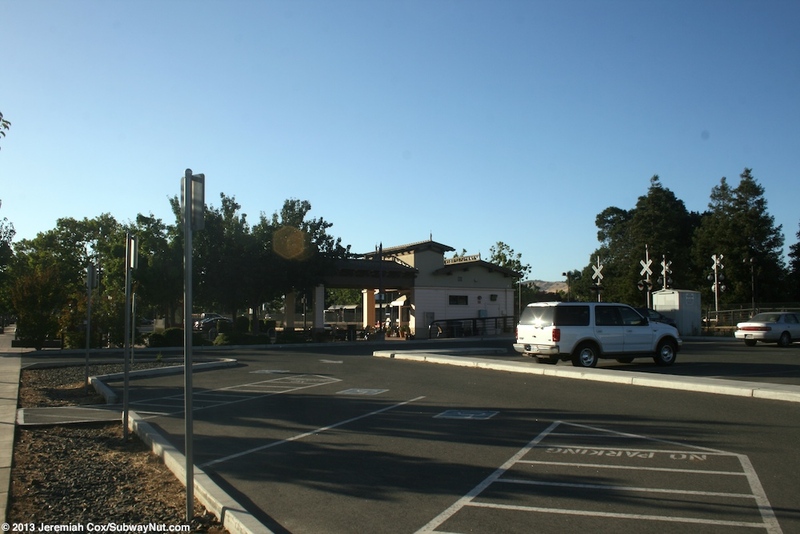 The station has only a simple bus loop around the east parking lot but it includes a stop for Monterey Express Bus Route 55 that runs 3 times per day and is an Amtrak Thruway Connection so Morgan Hill has the Amtrak code MHC. 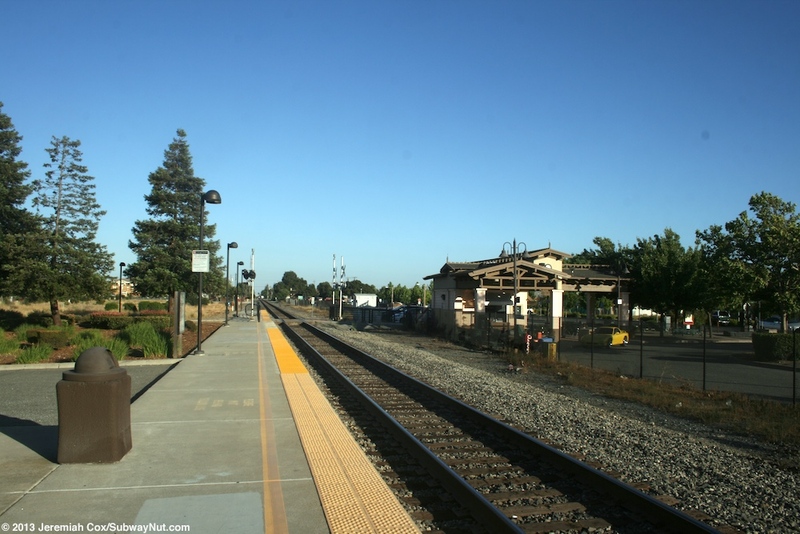 The Coast Starlight uses the same track as Caltrain but bypasses the station. 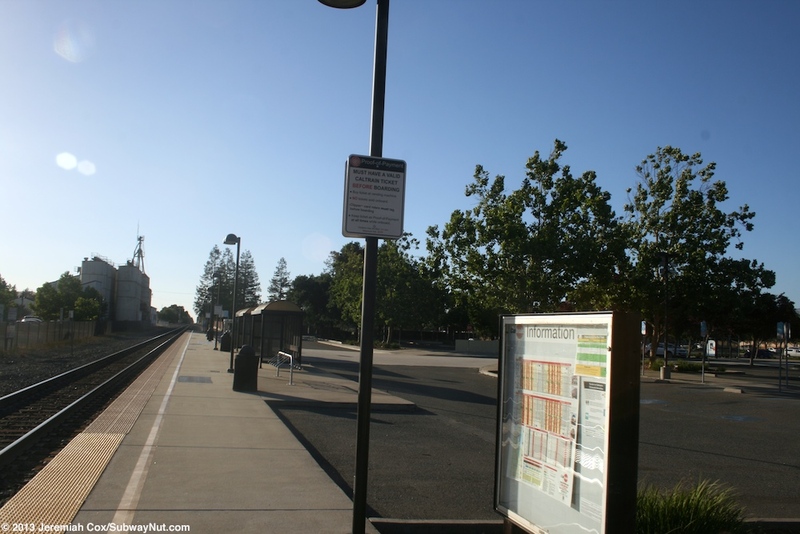 The other buses that stop here are two peak-direction rush hours VTA Express Bus Routes 121 and 168. 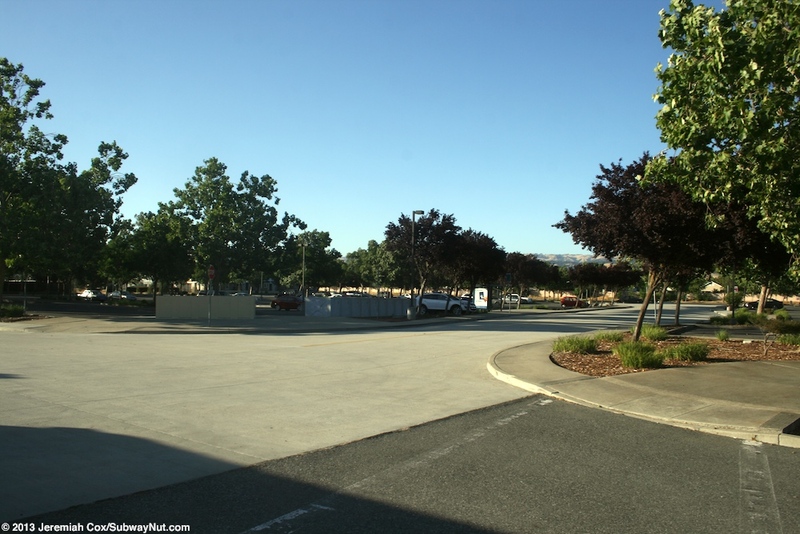 The one Community Bus Route 16 in Morgan Hill serves Morgan Hill's other transit center (just two routes) north at Main and Hale. 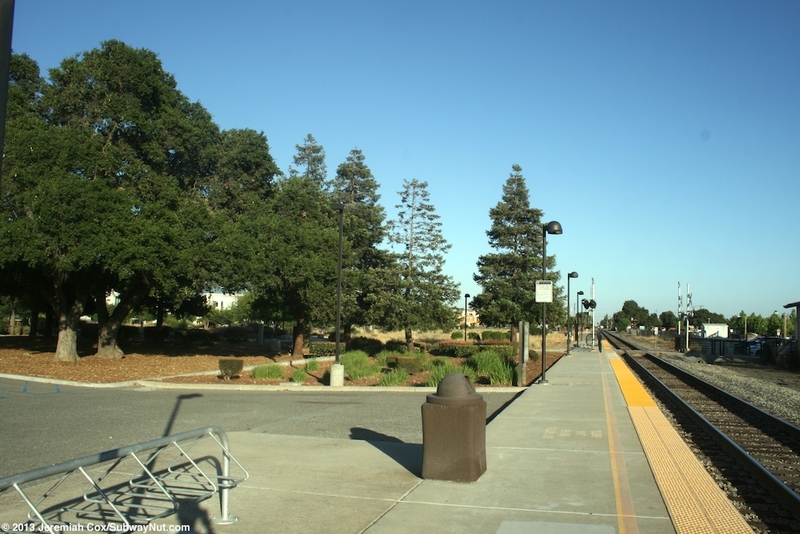 VTA Local Bus Route 68 provides local service every 20 to 30 minutes or better between throughout the day Gilroy and San Jose Diridon. 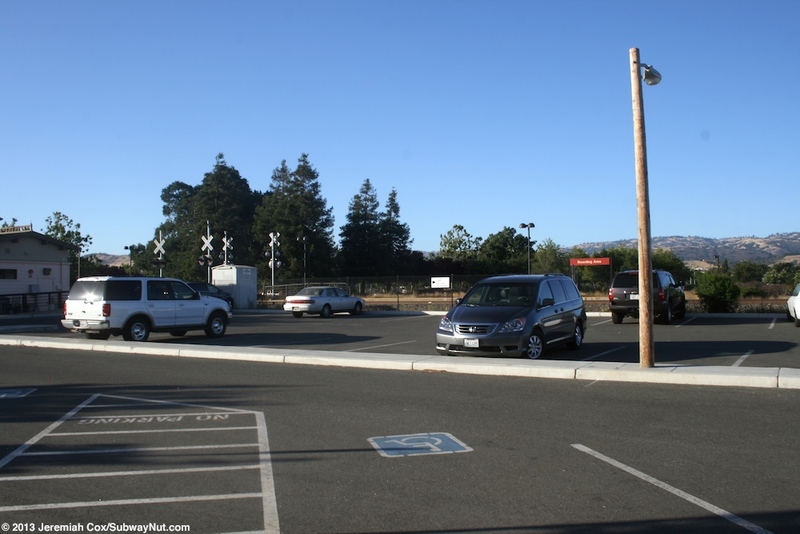 This bus doesn't pull into the station instead stopping only a block away along Monterey Highway, along the shops and buildings in the pedestrian friendly center of town. 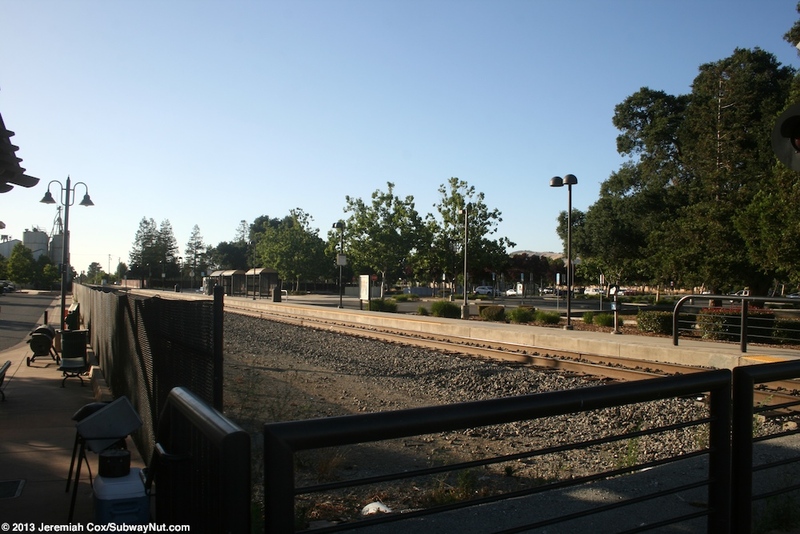 The station itself has a single platform on the east side of the single track through Morgan Hill. 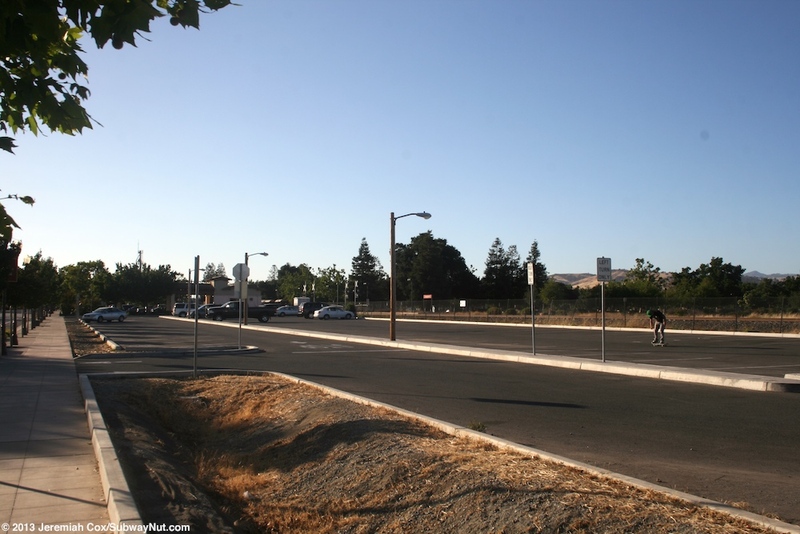 This platform has a drop off road directly along it and the main parking lot that contains the station's 468 parking spaces that extend to Butterfield Blvd parallel to the station. 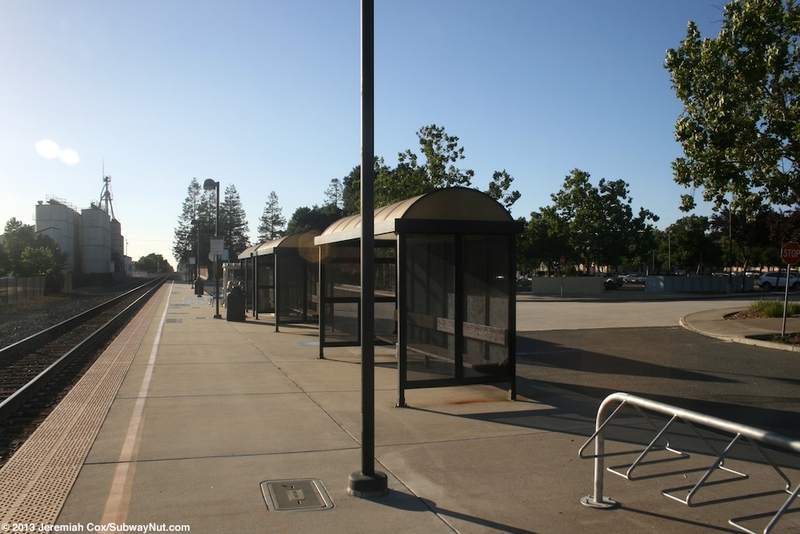 The platform has three black shelters for in the middle of the platform. 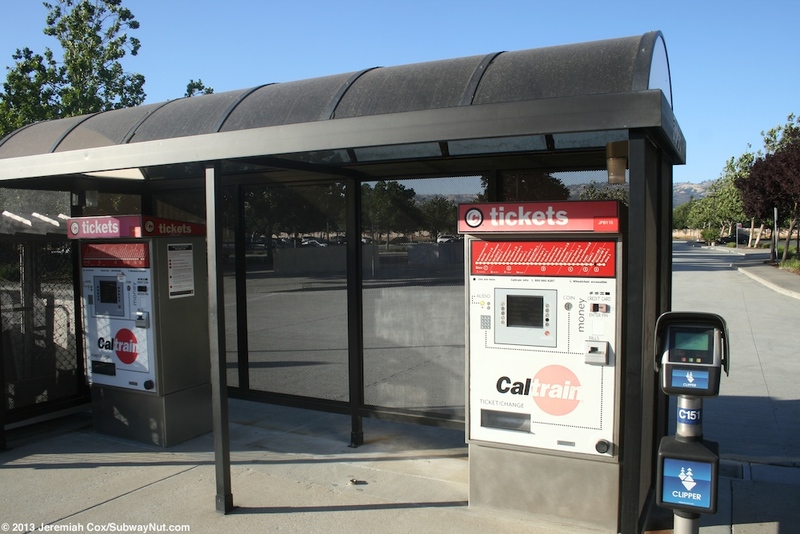 Two shelters have built in benches, the final one covers the stations two TVMs. 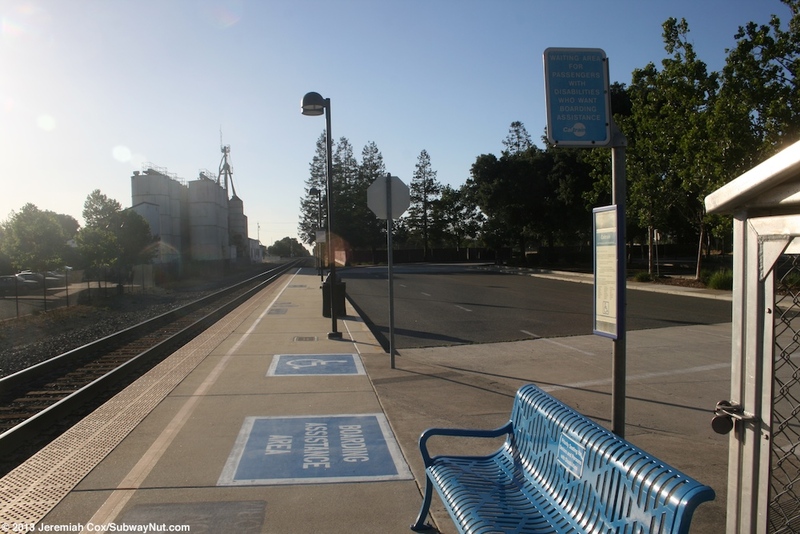 There is also a small mesh-walled wheelchair lift enclosure and blue 'I need assistance' bench. 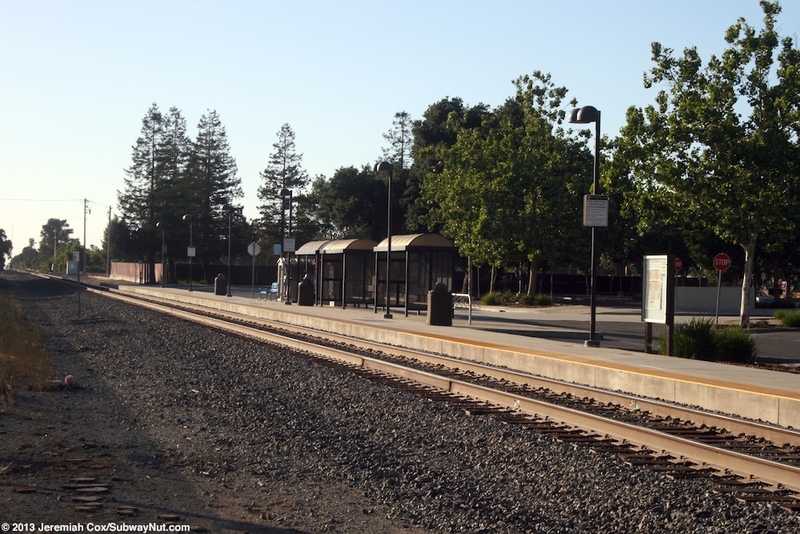 There are two red Morgan Hill signs, one at either end of the platform; the side not facing the tracks says Boarding Area. 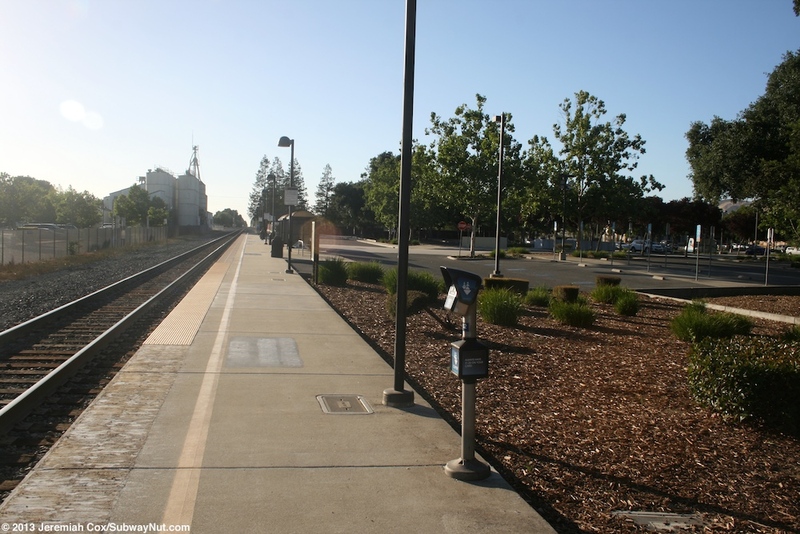 At nearly the southern end of the platform is a pedestrian Grade crossing. 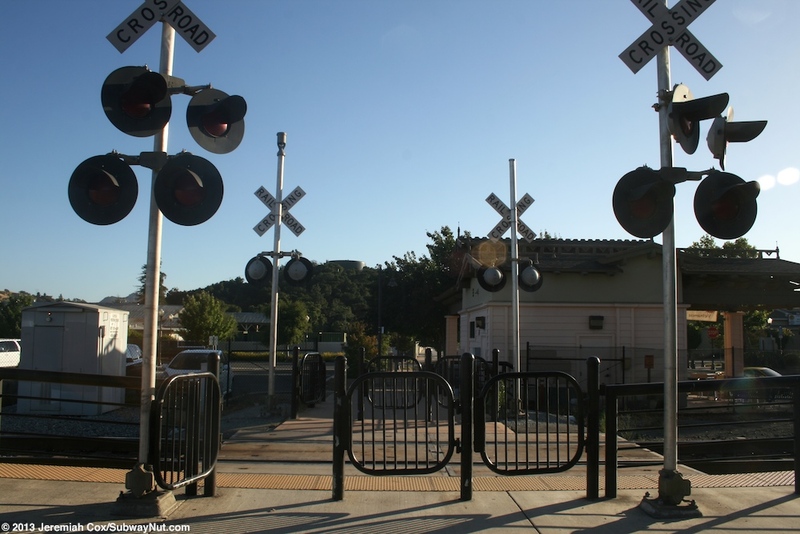 This has normal crossing lights and bells but no arms; just push gates. 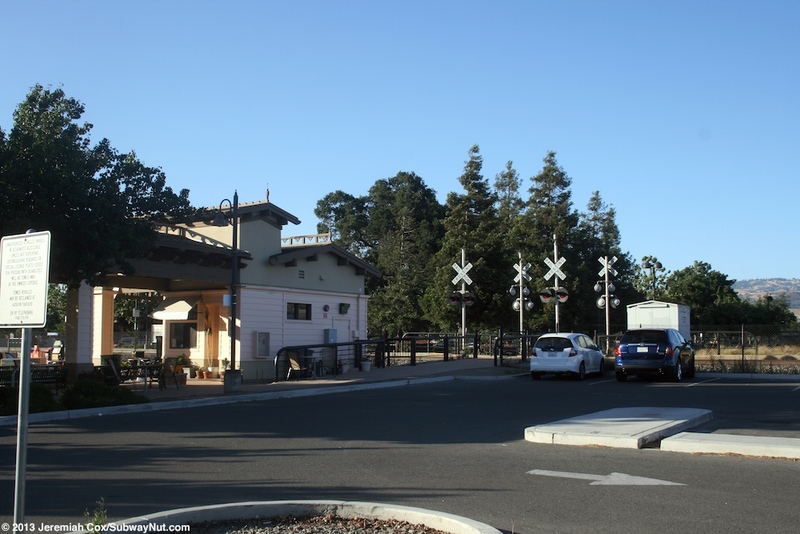 This crossing leads to a pedestrian plaza and some smaller parking lots along Depot street (parallel to this side of the tracks) with a high fence to keep passengers from crossing the tracks not at the crossing. 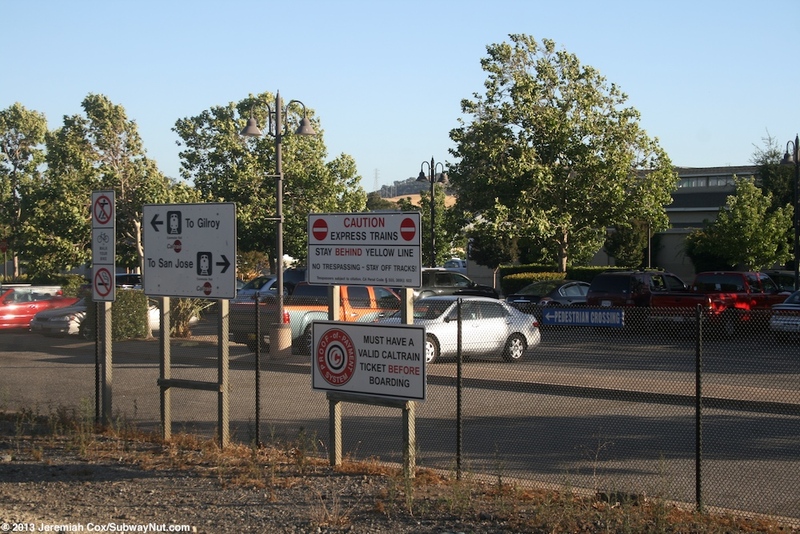 Small blue signs say pedestrian crossing with arrows towards the grade crossing. In the plaza is a small modern building with pink walls and a decorative roof housing a small take-out window restaurant. They are some outdoor benches for patrons. There is finally a bronze statue of a family, mother, father, and daughter sitting on suitcases in turn of the twentieth century dress. 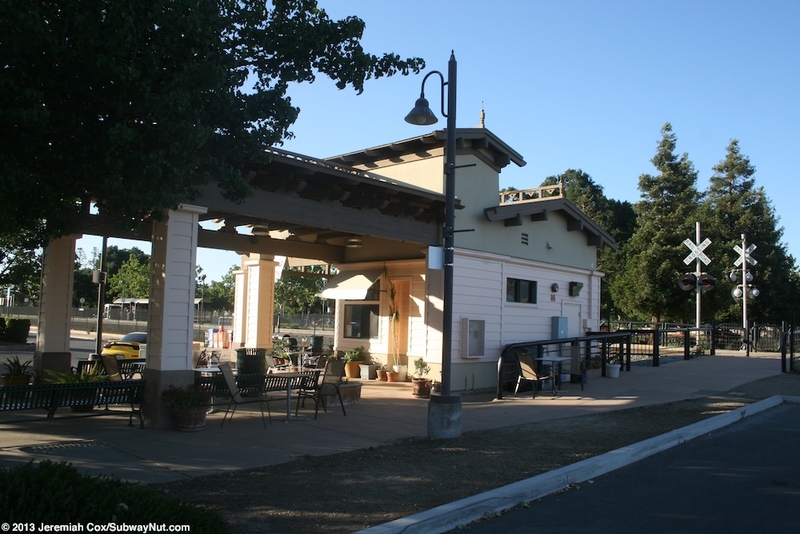 This statue is named Waiting for the Train by Marline Amerian and was dedicated on April 29, 2007 as part of the City of Morgan Hill's Centennial Celebrations.